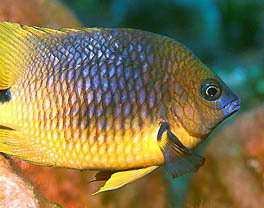 Damselfishes are common, and becoming more common in the Caribbean. Click here to learn why. 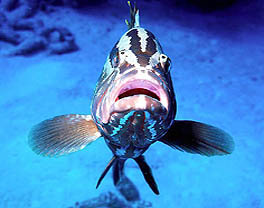 Where have all the Nassau Groupers gone? Click here to learn about the disappearance of this Caribbean giant. 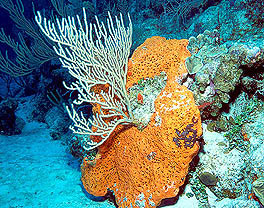 Dive in to The Aquarium Reef near Grand Turk to see this Sea Rod Coral and Elephant Ear Sponge.